The annual MLB All-Star break marks the halfway point of the regular season even though all 30 teams have played close to 100 of the 162 games on the slate. What this simply means to anyone who loves to bet on the games is there is enough betting action already in the books to aid the handicapping process. Professional baseball is unique in that the halfway point of the season at the All-Star break is also the time to determine which teams are sellers and which teams are the buyers ahead of the upcoming MLB trade deadline. Sellers are teams that are clearly out of the hunt for the postseason and looking to unload a few fat contracts in an effort to start planning for bigger and better things next season. Teams deemed to be buyers are the ones that the right pitcher here or the right hitter there could mean the difference between a short stint in the playoffs and World Series glory. This season’s July 31 trade deadline along with the actual deals that take place between now and then are extremely important to the teams involved as well as for bettors looking for some value picks moving forward. Depending on which players get dealt to a new team in the coming few weeks, you might want to think of the sellers as good teams to go against in the second half and the buyers as the smart teams to bet on moving forward. There is still quite a bit of baseball left to be played, but teams that part with key pieces of its starting rotation or batting lineup have already raised the white flag for the year. They are not going to lose every one of the games left on their schedule, but it could be safe to assume that they will lose far more than they win. At the opposite end of the spectrum, teams that did add the missing piece here or there should be highly motivated to win as many games as possible. Another betting factor over the final few months of the MLB regular season is fatigue. Any schedule in any sport that consists of 162 games is bound to take its toll over the course of the season. The wear and tear on the entire team begins to build. In the absence of playing for anything other than a pay check or a new contract this offseason, there is even less motivation to give it your best everyday on a losing team. Tanking is not a big an issue in professional baseball as it is in the NBA, but it still exists to a certain extent. Look for losing teams on extended road trips. Going against them towards the end of that trip can be a viable betting strategy depending on all the other handicapping factors in any given matchup. Baseball is also unique in the sheer amount of stats, facts and betting trends it generates. Some bettors let themselves get bogged down in too much information when picking sides or totals. However, in familiarity there is predictability. Reoccurring pitching matchups become more common as the regular season winds down. Certain pitchers have certain lineup’s number just as certain batters know a starter’s tendencies. This level of familiarity adds a bit more weight to recent betting trends when you get into the dog days of late August into September. 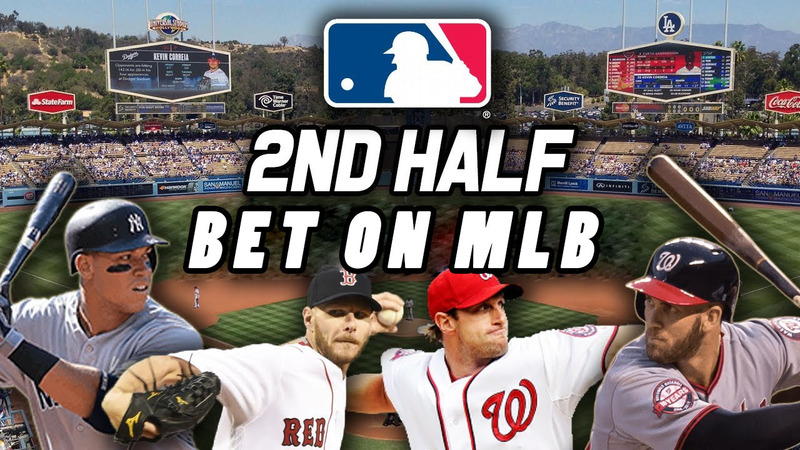 Some of the other ways you can find value in MLB betting odds in the second half of the season can be found in different ways to bet on the games. Player props on a game-by-game basis offer more value as do five inning lines. The online books offer a wealth of ways to make money betting on MLB games this time of the year if you know where and how to find it.